Every older piano tells a story, but this one could write a book. Paul Hahn & Co. sold this piano to the Greenberg family in Toronto through the Eaton's Company in 1929. We have the original ledger entry that records the sale. It was acquired by the Art Gallery Of Ontario sometime in the mid 1980s, where it was a fixture in the members lounge. In 2004, it was loaned to The Music Gallery at St. George The Martyr Anglican Church on John Street while the AGO undertook a major renovation. 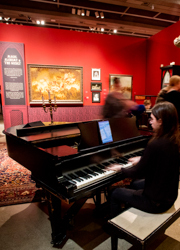 This Steinway was used for several performances while it was at The Music Gallery. 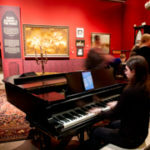 The piano remained there even after the AGO renovations were complete, but in the fall of 2017, was moved back to the Gallery to be the musical centrepiece of the exhibit - Guillermo Del Toro : At Home With Monsters - and played during every day of the exhibition. This piano has received a new lease on life in our workshop - completely restored by our talented technicians. 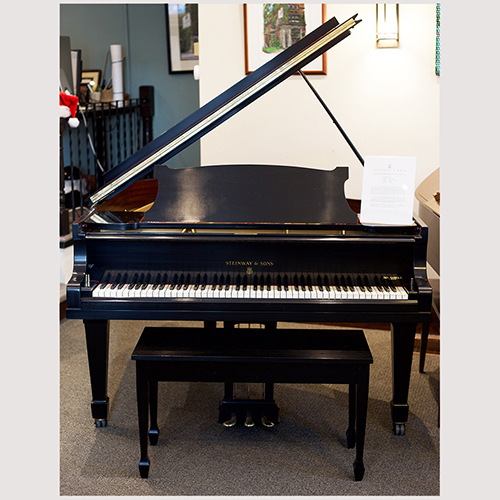 This is an opportunity to write the next chapter in this fantastic Hamburg Steinway's story! Price includes: •	Matching Bench •	Comprehensive pre-delivery service •	Ten year warranty •	Free Delivery within the GTA •	One year “Trade-Up” at full value •	One free in-home tuning.